This necklace was a head turner. Looks great on. 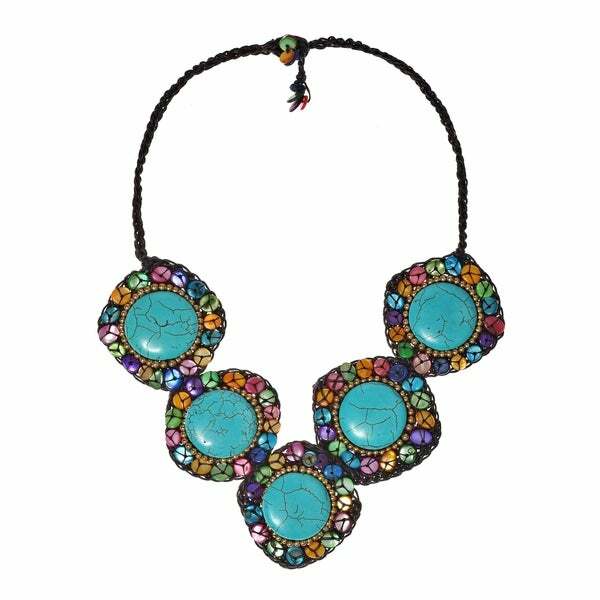 Love this statement necklace, Will enhance any simple summer outfit. Beautiful. Well made. I would have given it an excellent rating if not for the weak clasp. I get so many compliments on this piece! It's so urban, funky, sheek! I love it! bought for my daughter and she loves it...glad the trade is good for the makers. Wellllll.... I wanted to love it. I like it. It looks a little cheap/cheesy. Love the striking color combination to complement a variety of colored outfits.